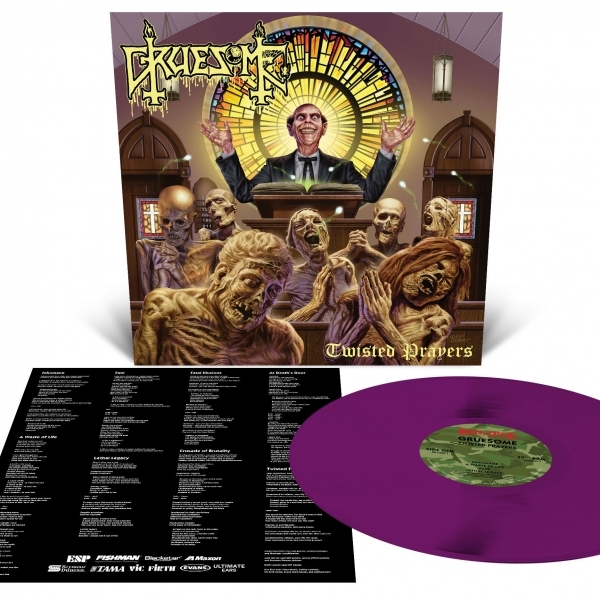 Less than four short years into their career, Death Metal Defenders of the Old GRUESOME (featuring current and former members of Exhumed, Possessed, Malevolent Creation, etc.) have quickly made a name for themselves as not just torchbearers of DEATH’s eternal legacy but as one of the most heralded bands in the scene today. 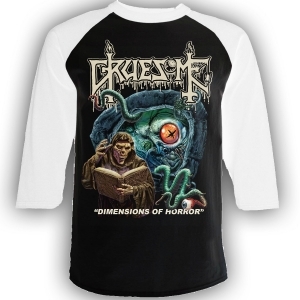 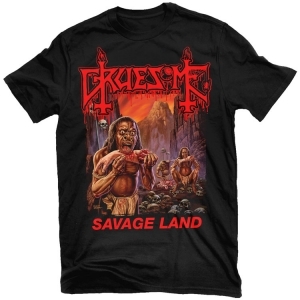 After releasing a pair of acclaimed EPs, GRUESOME return with their second full-length sermon, Twisted Prayers. 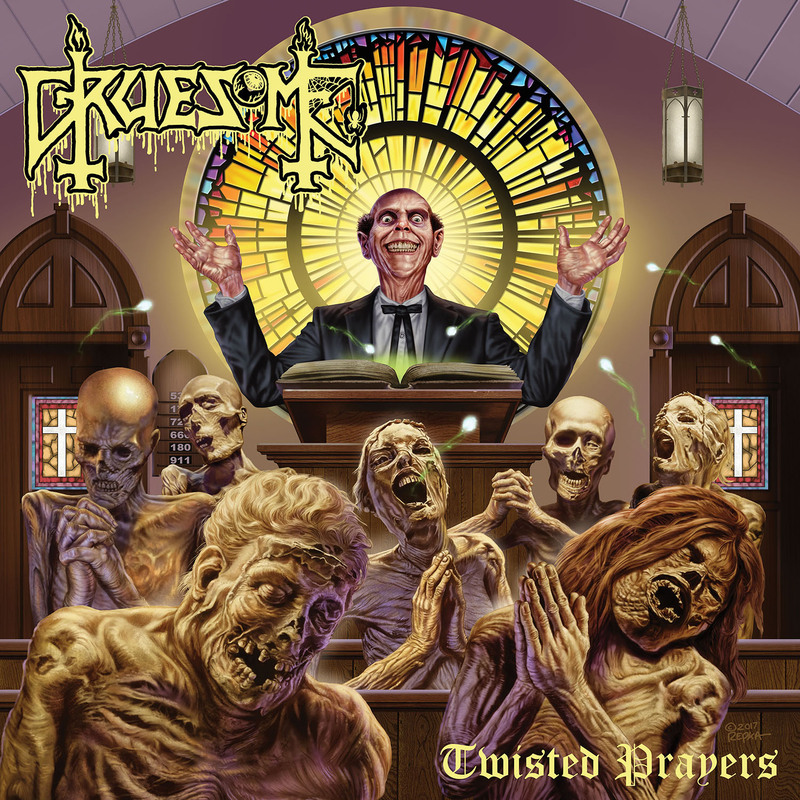 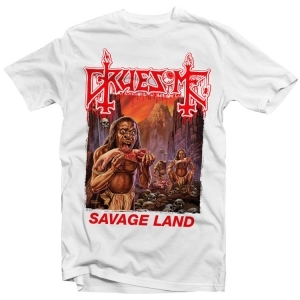 Twisted Prayers follows DEATH’s paradigm shift during the Spiritual Healing era, incorporating more cerebral, melodic instrumentation with elements of thrash and thought-provoking, socially conscious lyrics. 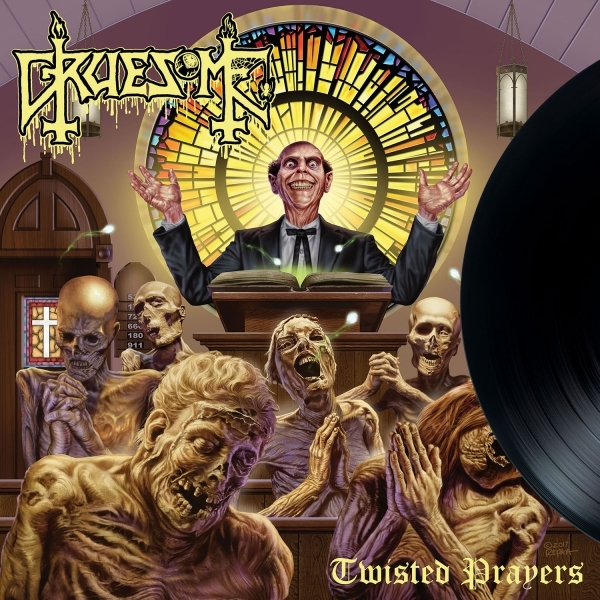 Recorded with producer Jarrett Pritchard (Exhumed, 1349, Goatwhore) at New Constellation Studios in Orlando, FL, Twisted Prayers features GRUESOME doing what they do best across eight songs and 40+ minutes of unholy hymns with lurid melodies and vulgar atmospheres. The band has once again teamed up with the legendary Ed Repka (Death, Atheist, Massacre) for the album’s blasphemous cover art in addition to legendary DEATH guitarist James Murphy (Death, Obituary, Testament) for a pair of special guest guitar solos. 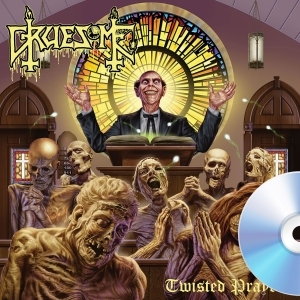 Bow your heads and worship at the altar of GRUESOME!